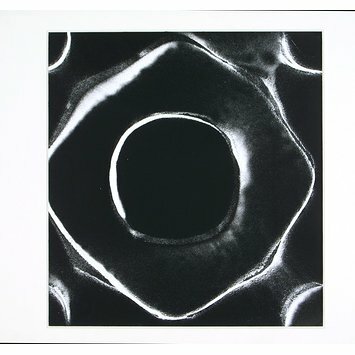 This photograph is a photogram, made without the use of a camera, when an object or substance is placed directly onto photographic paper and its shape recorded when the paper is exposed to light. In this instance, Derges placed a sheet of photographic paper onto a metal surface with a quantity of Carborundum powder on the top of the paper. The metal plate was vibrated with a sound frequency and the sand reacted to the vibrations by settling into the shape that you can see in the light areas of the print. Once the photographic paper had been exposed with a flash light, the powder was removed and the print developed to reveal the incredible and unpredictable pattern that the powder and vibrations had created. 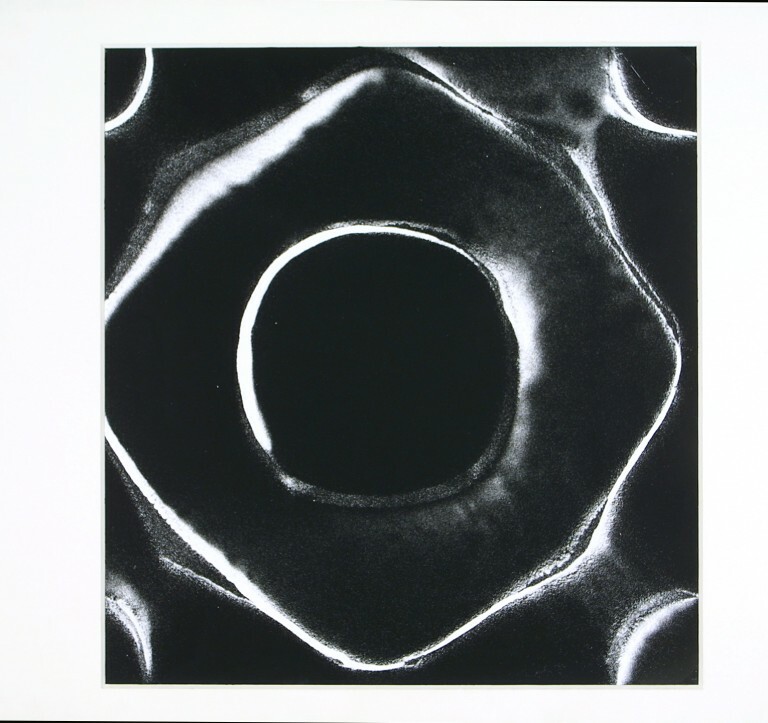 A black and white photogram depicting a chladni figure in the form of abstract shapes. This work is a camera-less photograph made using photographic paper covered with a thin coating of fine sand. This is vibrated with a cello bow causing the sand to migrate to points of relative stillness on the plate. The resulting pattern is called a chladni figure.